I always try to respond to questions in person, I will try my best to get back to you within 24 hours. 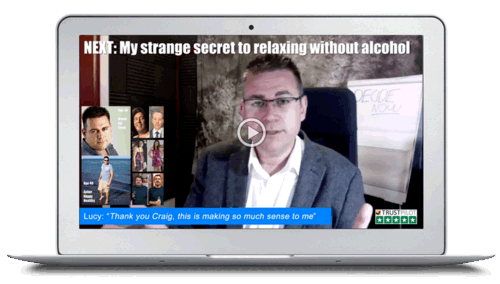 Please email info@stopdrinkingexpert.com - if you have an account with Stop Drinking Expert please make sure you email from the address associated with your account. Craig Beck is available for broadcast, digital and print media interviews, features and comment. Offering specialist opinion pieces based on first hand experience of problem drinking. In addition to his experience working as an addiction therapist dealing with alcohol use disorders and alcoholism. Please email craig@craigbeck.com or call +1 347-779-2602 for availability and booking information. Pain In Right Side? Could It Be Caused By Alcohol? Worried About Being Bored Without Alcohol? Terms: This agreement is made between Craig Beck (The Coach & Trainer at Craig Beck Media Limited – PO Box 45534, Ormidia, Cyprus) hereby referred to as (The Coach) and you the client. The online member dashboard is considered a safe and respectful place. The coach and all clients are expected to treat others with tolerance, patience, and respect. Anything discussed in the member's area is done so under Chatham House Rules of confidentiality and non-disclosure. The Coach plays the role of facilitator of change, while it is the Client's responsibility to enact change. Limited Liability: The Client is responsible for creating and implementing their own physical, mental and emotional well-being, decisions, choices, actions, and results. As such the Client agrees that the Coach is not, and will not be liable for any actions or inactions, or for any direct or indirect results of any services provided by the Coach. The Coach is not engaged to prevent, cure or treat any mental disorder or medical disease.